What’s the truth about….the Cause of the Destruction of the Beit Hamikdash? Misconception: According to rabbinic tradition, the destruction of the Second Beit Hamikdash (Temple) can be attributed solely to “sinat chinam”—gratuitous hatred. Background:1 Statements of Chazal regarding the destruction of the Beit Hamikdash do not appear as part of a systematic framework, but are scattered throughout rabbinic literature. In some instances, Chazal speak specifically of the causes of the destruction of the Second Temple, in contrast to the destruction of the First Temple. 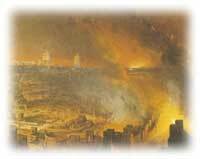 But more often, Chazal speak of the destruction of the Temple in general terms or—more generally still—of the destruction of Jerusalem. Moreover, it is not always clear whether Chazal, when presenting a particular sin, mean that it was solely responsible for the destruction, or that it was merely the “last straw” that sealed the Temple’s fate. The following is a non-comprehensive survey of rabbinic explanations for the Churban (destruction of the Beit Hamikdash), underscoring the point that sinat chinam is a reason, but not the exclusive reason, for the destruction of the Second Temple. Tosafot (ibid, s.v. lo churva) question Rav Yochanan’s statement. “How could he claim this was the cause when the Talmud in Yoma states that sinat chinam was the reason?” The question implies that Tosafot understood Rav Yochanan to be equating the “destruction of Jerusalem” to the “destruction of the Second Temple.” Tosafot respond that the sources are complimentary rather than contradictory, and that both sins contributed to causing the destruction. It happened that a man cast his eyes on the wife of his carpentry teacher. Once his teacher required a loan. He said to [his teacher]: “Place your wife in my keep and I will lend [money] to you.” [The teacher] placed his wife in his keep, and she stayed with him three days. [The teacher] came to him and asked, “Where is my wife that I sent to you?” He replied: “I released her immediately, but I heard that some young people took advantage of her on the road.” [The teacher] asked him: “What shall I do?” He said: “If you heed me, you should divorce her.” [The teacher] said: “But her ketubah is excessive.” He replied: “I will lend you [the amount] and you will give her the ketubah.” [The teacher] divorced her and [the student] married her. When the time [for the loan] came due and he did not have enough to repay it, [the student] said: “Come and work off your debt in my service.” So they [ the student and the wife] would be sitting, eating and drinking, and [the teacher] would be standing and serving them their drinks, and his tears would fall from his eyes into their cups. It was at that moment that the [Divine] decree was sealed. Thus our master, the Rambam, blames our ancestors for the destruction of our Land and our Temple, because they did not study warfare and land conquest. Instead they wasted their time and relied on vanities and nothingness. Now why did he not blame them for their failure to study Torah and serve God properly? The answer must be because that alone is insufficient cause.”7 The Rambam combines two reasons that, in his view, led to the Churban: the sin of idolatry (reading astrology) and the natural consequence of not studying self-defense. In reading all of the above, one invariably faces the question of how to understand the multiple and wide-ranging rabbinic statements. What seems clear is that there is certainly an element of rebuke intended. It is understood that if a particular sin led to the destruction, observing that particular precept is the antidote that will lead to the restoration of the Temple. Ibn Ezra (Lev. 19:17) expresses this concept when he states that by observing the commandment to “Love one’s neighbor,” we will return to our Land, because this mitzvah is the opposite of sinat chinam, which is what destroyed the Second Temple. As has been demonstrated, sinat chinam is not the only offense that Chazal accuses the Jews of committing, and for a full redemption we need to rectify them all. However, because sinat chinam is such a widespread problem, it is the cause for the Churban that is most often quoted. Our prayer is that all the statements of Chazal will be taken to heart and all of the wrongdoings—sinat chinam and the other sins—will be rectified, leading to a complete and final redemption with the building of the Third, permanent Beit Hamikdash. 1. Rabbi Eli Clark contributed to this article. The authors are preparing an expanded treatment of this material for publication. 2. This mishnah provides a sort of commentary to Lev. 26:22-33. Cf. Ramban to Lev. 26:16. The Mishnah apparently selected the four-mentioned transgressions because the Bible identifies these—and only these—as transgressions for which the Land will spew out its inhabitants. Regarding idol worship, see Deut. 11:17; regarding prohibited sexual relations, see Lev. 18:25, 27; regarding bloodshed, see Num. 35:34; regarding the sabbatical year, see Lev. 26:33-35. Note that the mishnah was not necessarily referring to a specific exile, but to exile as a concept. 4. In the primary sources this story is not linked to any national sins. However, many treat it as representative of sinat chinam. The Maharal has an extensive commentary on the various Tishah B’Av aggadot (Netzach Yisrael chapter 4-8). He observes that the names Kamtza and Bar Kamtza are derived from the same root as “kemitza,” an act that denotes separating rather than uniting. He suggests that they, through their names, represent a culture that was focused on dividing rather than unifying. Cf. the Maharshah on this story, who links it to sinat chinam. 8. He repeats this theme on Num 36:34 and Deut 32:5. See also his Shu”t Meshiv Davar 1:44.